Happy New Year from Efferent Media! Now that the holidays are over, it’s time to focus on your business goals for 2019. One of the first places that you should start is your website. It can be an expensive overhaul, there’s no getting around it, but it’s certainly an investment that will pay for itself many times. Your website is the digital face of your business. Are you on the fence about the necessity of a new website? Let Efferent Media steer you in the proper direction. 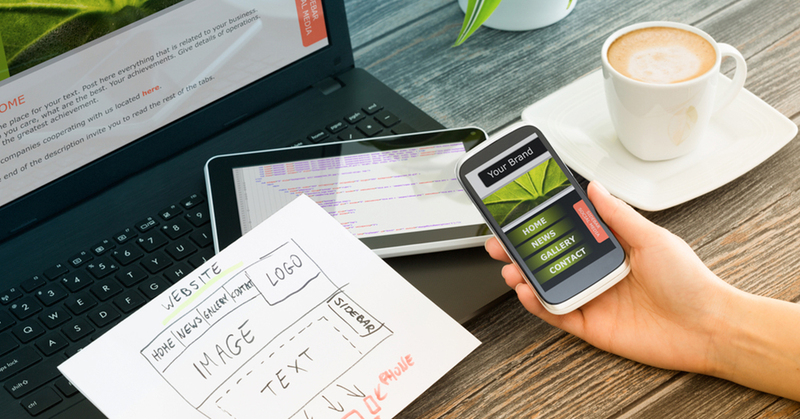 If your website isn’t mobile friendly, then you need a new website. It’s that simple. The exponential growth of mobile website users alone dictates the need for a mobile site. In 2018, 52.2% of worldwide online traffic came from mobile devices and this number is projected to increase. If that isn’t enough of a reason, Google gives preferential treatment to sites that have a mobile version versus those that don’t on mobile search results pages. Without a mobile site, you may as well be invisible to mobile users. Website speed is critical to a site’s success. SEO best practices indicate that a website load time of between 2-3 seconds is acceptable. A site will lose 40% of its traffic if it takes more than 3 seconds to load. Even worse, a site will lose 90% of its organic traffic if it takes longer than 5 seconds to load. According to Google DoubleClick, a 1-second delay in page response can result in a 7% reduction in conversions. So what can slow a site down and what can be done about it? There are many factors which can slow a site down including an old site template, slow hosting, too many images of the wrong type, and non-optimized code. The SEO and web development team at Efferent Media can help you to understand what’s slowing the site down. Sometimes a full site design isn’t needed but more often than not, there are so many issues on older sites that it would be more cost effective to rebuild a site using a faster template on our hosting. Is Your Site Content Optimized? Website content is more than just words on a page. It helps you to sell your product or service. It enables you to tell a story about your business and lets people determine if you are the right company to do business with. Your content is going to sell your business. Make sure it’s the right content. Let the team at Efferent Media optimize your website content and ensure that all of the proper technical elements are present to capture the perfect audience. Are you ready to get your website evaluated by the Efferent Media team? Then give us a call at 631-867-0900 or fill out our contact form for a free SEO website evaluation. We’ll take a look at your site and give you an honest assessment of your website health. There’s no hidden cost, so what are you waiting for? Get off to the right start in 2019 and give Efferent a call today!